Prime Minister Binyamin Netanyahu says he would be willing to consider a televised debate with heads of other parties. Prime Minister Binyamin Netanyahu said on Wednesday he would be willing to consider a televised debate with heads of other parties running for the Knesset. The announcement came a day after Channel 2 News invited all the leaders of the various parties to a televised debate, adding it plans to hold the debate even if not all leaders accept the invitation. Most leaders said they would accept the invitation, but Netanyahu did not respond. "The Prime Minister is now busy stopping the emerging dangerous agreement with Iran, preparing for his trip to the United States and in state affairs. 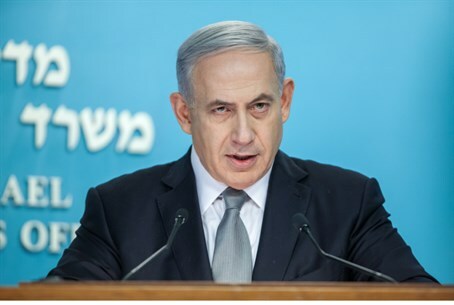 The Prime Minister will consider the proposal to hold a televised debate with the candidates of the left, Buji (Herzog) and Tzipi (Livni), upon his return from the United States,” the Prime Minister’s Office said on Wednesday. It should be noted that televised debates ahead of elections were held in Israel prior to the elections for the 9th Knesset and before the next five elections. In 1999, however, Ehud Barak declined to participate in a debate (he ultimately went on to defeat Netanyahu in the elections). Subsequent prime ministers continued to refuse to do so as well, leading to the cancellation of the practice. Herzog has been for several weeks calling on Netanyahu to take part in such a debate, calls that Netanyahu has ignored. On Sunday, after his calls for a debate were unanswered, Herzog personally posted a challenge to a debate on Netanyahu’s Facebook page. “So Bibi, I have not yet received an answer. Are you, the prime minister who has failed in every possible field over the last six years, afraid to debate me on the really important issues - with all the people of Israel?” wrote Herzog. “Bibi, the public awaits,” he added.